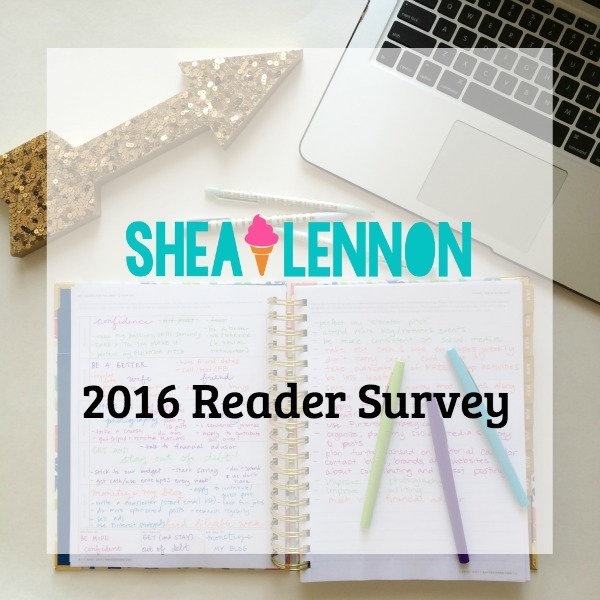 I mentioned on my Vision Board post on Wednesday that one of my goals for this year is to grow Shea Lennon. Of course part of that growth is to attract new readers, but I also want to be sure I keep my current readers coming back. Therefore, I want to get to know you all better, and find out what you’d like to see more of (and less of) here. I created the survey below, and I would be so grateful if you took a couple of minutes to complete it. It won’t take long, and your answers will help me create more content you want to see around here. Your answers will be anonymous, so please be honest with me. Thank you so much for helping me out with this, I really do appreciate your support!